Our mission is to give you confidence in your personal style that makes you feel your best every time you walk out the door. We love what we do because it provides motivation during periods of growth and transition. Everyone we help is better able to organize, prioritize and value themselves, making us feel fulfilled and grateful for each opportunity we have in our work. 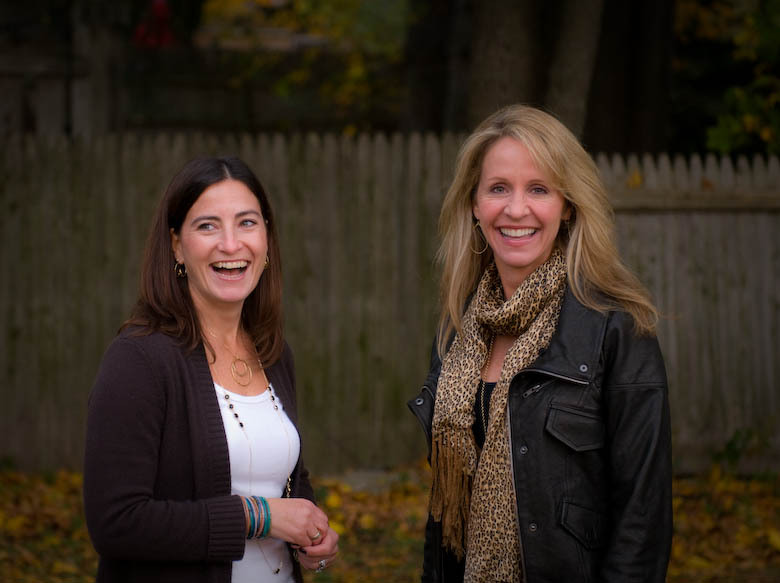 Tracy and Katherine became good friends when they moved into the same Wayland neighborhood in 2002. Both women were busy working and raising young children so they didn’t have time to consider a partner-based business initiative until several years later (although they had found ample time to admire each other’s wardrobes!) Knowing that they both loved clothes, fashion and shopping, Tracy and Katherine launched an in-house style and consultation service in 2010. Follow us for endless fashion inspiration. Click the social media icons to stay connected through the seasons and we promise to bring you endless ideas for your personal wardrobe. We offer a wide array of services to meet the individual needs of each of our clients - from personal shopping to wardrobe & closet consults to organizational assistance. We've merged our experience and expertise to bring fulfillment and ease while also striving to make each new season an opportunity to embrace self expression on a reasonable budget. Work with us to enhance your already existing wardrobe or hire us to find the perfect compliment piece for a dress or transform that suit from drab to fab. Click the button below for a full range of services. I love my closet now! I feel confident & stylish. Tracy & Katherine nailed it! “I had these pieces I loved! I just didn't feel confident about how to wear them until Tracy and Katherine showed me how!